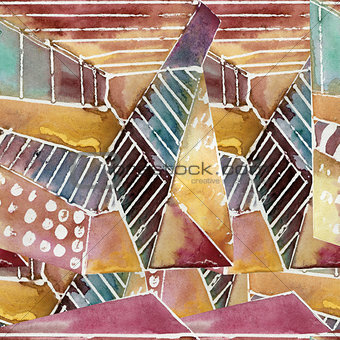 Image Description: Watercolor seamless pattern. Hand drawn geometric background. Modern abstract wallpaper.